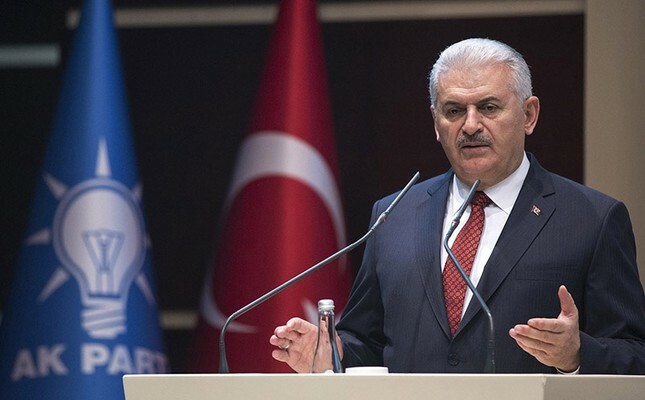 Turkey is cooperating with Russia to ensure safety in Syria's northern Idlib province, Prime Minister Binali Yıldırım said Sunday. Speaking at the 26nd Consultation and Assessment meeting of the Justice and Development Party (AK Party) in central Afyonkarahisar province, Yıldırım stressed the importance of ensuring de-escalation near Turkey's border with Syria. "We will ensure safety in Idlib, and will cooperate with Russia," Yıldırım said. Earlier on Saturday, Foreign Minister Mevlüt Çavuşoğlu said that Turkey aims to ensure clashes are completely prevented in Syria's northwestern Idlib province, which would facilitate the political process in return. Turkey-backed Free Syrian Army has launched an operation to clear the region from militant groups on early Saturday.